This post discusses the things injury attorneys consider when a new client say they broke a bone in a car accident or slip and fall. If you were in a car accident or had a slip and fall and suffered a broken bone, consult a lawyer to determine if you have a case. 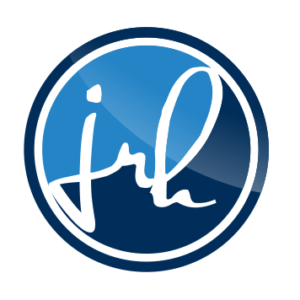 Whether you in Long Beach, Seal Beach, Huntington Beach, Newport Beach, Rossmoor, or Los Alamitos, there are many local personal injury law firms in Orange County. This post also discusses some of the factors an injury attorney will consider before filing a lawsuit. If you are concerned about your medical bills, lost wages, and pain and suffering that resulted make sure you discuss each of the below topics with an attorney before speaking to any of the insurance companies. In order to maximize the value of a personal injury lawyer, you must discuss with them all of the facts regarding your broken bones as soon as possible. Auto accident and premises liability cases result in all types of fractures. We have seen clients with broken arms, broken legs, broken orbital bones, broken clavicles, and bones broken off the spinal column. Each of these types of bone breaks can lead to excruciating pain. It is crucial that any person with a fracture get to a hospital right away so that the hospital can diagnose and treat the injured area. Once an injured person has been able to speak to a doctor at a Southern California health care provider, the injured individual can begin the bone healing process. Medical News Today states that in addition to a traditional or functional cast, the bone healing process may consist of surgery. Broken bones fixed through surgical means such as open reduction with internal fixation surgery (“ORIF”), are often seen by our law firm. A broken bone set with a cast vs. ORIF surgery can significantly change the long term pain and suffering associated with a break. If an individual files a lawsuit before discussing their bone fracture with an attorney they run the risk of not receiving maximum compensation for their pain and suffering. In addition to economic damages, a bone break that has healed may warrant a personal injury claim for past pain and suffering. A break that required surgery such as ORIF may justify further damages in the form of past and future pain and suffering. Therefore, make sure that you provide your attorney with as much information as possible regarding your broken bone to maximize your compensation. 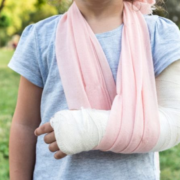 For an injury attorney to determine if you have a personal injury case for your fractures, the attorney will need you to tell them how the incident that caused your fractures occurred. Premises liability cases, commonly referred to as slip and fall accidents require that the responsible property owners breached their duty of care to the injured victim. You should be prepared to explain to your attorney why you believe that your injuries are the fault of the property owners. Similarly, if your broken bones occurred as a result of an auto accident, tell your injury attorney all the facts that tend to prove who was at fault for the car accident. After your attorney has gathered facts proving that your fractures were the fault of another party, they will move on to proving the incident caused your injuries. Fortunately, most fractures are more easily shown to have occurred as a result of a traumatic incident than other injuries such as spine disc herniations. Nonetheless, bring your medical records from the event to the meeting with your attorney so that they can see the necessary medical documentation. Once your attorney has all the information that they need, they can either begin the insurance claims process or proceed with a lawsuit on your behalf. What Compensation Can I Recover for my Fractures? Hospital bills and medical debts are rightfully among the biggest concerns for car-accident and slip and fall injury victims. The last thing that an injured person who has just broken bones or gone through ORIF surgery needs are phone calls from collections agencies. If medical bills are left unaddressed, they can lead to an adverse credit report event that negatively affects your credit score. Therefore, you must tell your attorney about all medical bills that you are aware resulted from the incident. An injury attorney will be able to discuss with you how to go about recovering money for medical costs. Recoverable costs may include money for outstanding medical bills and other medical bills which have already been paid by you or your health insurance. If all medical bills have been incurred, then an injury attorney will want to discuss the total amount of past medical expenses. If fractures require that you have future medical treatment, an attorney will consider the potential recovery of future medical costs. Similarly, an injury attorney will want to discuss any income you have lost or anticipate losing as a result of your injuries. If your broken bones caused you to miss work, an injury attorney would discuss how they might recover the money you lost. If your future medical care requires you to miss work, an attorney will consider the recovery of future wages. Therefore, it is essential that you inform your attorney of all income you believe you have lost or will lose. An injury attorney will also want to discuss the pain and suffering you have endured as a result of your injuries. Just like your economic damages, pain and suffering can be broken down into past and future pain and suffering. If your fractures have completely healed, then you likely have a claim for past pain and suffering. If your fractures healed improperly or have led to arthritis, then you may also have a case for future pain and suffering. It is vital that you tell your attorney every way that your broken bones have affected your life and caused your pain or suffering. Your injury attorney will use this information and determine the best way to convey your pain and suffering damages. This post has hopefully conveyed how important it is to contact an attorney as soon as possible. Regardless of who you choose to represent you for your broken bones, make sure to tell them as much as possible. The more information your attorney has, the better they will be able to determine what is essential and what is not. With all the necessary information, an attorney will be able to maximize your claim for compensation. Therefore, if you have suffered slip and fall injuries or a car accident that led to broken bones, contact an attorney right away! The information contained in this post is for general information purposes only. For more information on slip and fall injuries go to our slip and fall accidents page. For more information on car accident injuries go to our car accidents page. Nothing on this post, or website, should be taken as legal advice for any individual or case situation. This information is not intended to create, and receipt or viewing does not constitute an attorney-client relationship. If you have lost a loved one in a wrongful death action or have pain and suffering from a personal injury case, we are available to assist. For a free consultation, please reach out to our attorneys to arrange a time to discuss your matter. All you have to do is go to our site map or hit the big blue button labeled Contact Us!